Mark Twain said golf was a good walk spoiled. As frustrated hackers with delusions of adequacy, we can only concur. Sure, all golf fans tune in for the majors – the U.S. Masters, U.S. Open, U.S. PGA Championship and the British Open – and even the unofficial fifth major, The Players Championship. But we are talking rusted-on fanatics, who bet on and tune into everything from the Puerto Rico Open to the PNC Father-Son Challenge on the Champions Tour. Anything that makes the cut for the golf channels and we will take an interest. We will share what we have learned about betting on golf … all of which has come from years of graft interspersed with the occasional periods of joy when our anointed rising star has emerged to claim a big tournament win and fill our pockets. No one is too sure about the ancient origins of golf, though we can be certain they are ancient. Some believe it was the Romans who started it all, while others say it was a Chinese invention. They both had games involving hitting a ball with some sort of stick. But as to the modern game, that is credited to Scotland. We like to imagine a scenario in which an angry Scotsman in kilt and See You Jimmy-style hat is cursing as he walks after his ball, slashing away at it but with the stubborn thing barely going more than a couple of yards, as a bevy of pheasants takes flight from the gorse around him. But we digress. Around 1457 James II banned the game in Scotland and that is the first written record of the sport. It re-emerged in 1502 when apparently the much older James stumbled across his dusty old clubs in the garage and decided to have another crack at the frustrating pursuit. The home of golf in Scotland is, of course, the Old Course at St Andrew’s, a venue which dates back to the 16th century and where the British Open is still held as part of the tournament’s rotation. 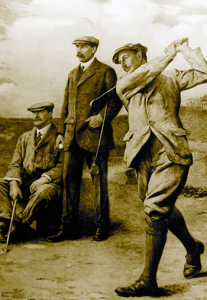 The Royal and Ancient Golf Club of St Andrew’s was founded in 1754 and, in its new guise as the R & A, still shares responsibility for controlling the rules of golf along with the United States Golf Association. Incidentally, the British Open is the oldest tournament in golf and was first played in 1860 at the Prestwick Golf Club in Ayrshire. Things have changed substantially from the early days, with rapid advances in technology threatening to make many older, shorter courses obsolete. These days players thrash the ball more than 300 metres on a regular basis and it is an ongoing battle for the ruling bodies to keep a check on the equipment. As always though, the big tournaments are still largely decided by nerve, with the adage “Drive for show, putt for dough’’ ringing truer than ever. First of all we need to look at the types of wagering bookmakers and sportsbook offer. This can vary wildly depending on the size and stature of the tournament. But for most events you can expect the following types of bets as a minimum. There are plenty more bet types, including novelty bets such as on whether there will be a hole-in-one in the tournament. Aside from the betting on individual tournaments, some sportsbooks also offer markets on events such as who will win the U.S. PGA Tour and European PGA Tour money lists, who will finish the year ranked No.1 and so on. Of course, the temptation when betting on golf is to be blinded by the juicy odds on offer for your player to win outright. We have all had friends who have plucked out a 50-1 or better “certainty” and ridden them all the way to the line and collected a wad so thick Tiger Woods couldn’t hit a flop shot over it. A reality check. Most events have more than 100 players, with always at least 50 or so having legitimate claims to the title. Finding winners outright is largely a game of luck. You need to find the right player in the right week in the right form. And hope they don’t duck-hook their drive at the 17th in the final round into the drink and take triple bogey, as at least one of our hopefuls has done in years gone by. If you are set on betting straight out, we advise doing so only in the majors and other big events. These are generally played on the tougher courses in the toughest conditions. This can often reduce the number of players with real claims; the cream rises to the top under testing conditions. Also, we advise being ready to lay off. Should your player be in contention there are always ways to increase your chances of getting at least some sort of collect. Usually this is done by betting on the nearest challengers, though this can be fraught with danger in a game as unpredictable as golf. Many leading sportsbooks now offer some sort of “cash-out” facility, meaning you can lock in at least some certain profit if your player is in a winning position. The old horses-for-courses theory works well in this game. Look out for players in events close to their home or on courses where they have grown up playing or have had success previously. Sometimes a particular course fits a player’s eye. Or suits their style of play or shape of shot. Even the types of grass on the greens and fairways can give certain players an advantage, however small. Many years ago a wise, long-time punter gave us the following simple advice: Little fish are sweet. Meaning, a little win is still a win. And with golf betting it is important to play the long game and be patient. With that in mind we recommend investing in the head-to-head markets, and favor doing so in the last round of any tournament. This is generally when the better players shine, because the courses are at their toughest and the pressure is on. Also, many events start with three players per group for the first two rounds, but this is usually reduced to two for the last two rounds. Take world rankings into account. There are also certain players renowned as hot and cold who are good to be on or against, as their matches usually end in a clear-cut result either way, largely taking the tie out of the equation. Our joker in the pack is finding a rising star who may not yet be as highly rated as you believe they should be. 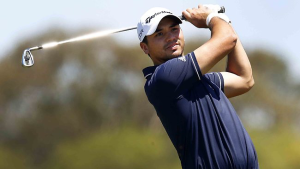 For example, we saw Jason Day play as a 16-year-old in the Australian Open and ever since he has been a source of regular profit as he has surged to be among the best players in the world. Though with a little more luck we might have multiplied our winnings many times over! You have to stay patient with these young players. Golf is a precision sport and anyone can have an off day or an off week. If you find the right players, they will be long-term winners for you. And that’s what betting on golf is all about. The four majors are the most important tournaments in golf. Here is a brief rundown of each. US Masters: The only major played at the same course each year, and what a track it is. Augusta, Georgia. A tournament and course on the bucket list of many a golfer worldwide. The US Masters was first held in 1934 and the course was designed by the legendary player Bobby Jones along with famed course architect Alister MacKenzie. The tournament is played in early April each year and the winner is famously presented with a green jacket. Then the following year the winner gets to choose what is on the menu for the Masters Champions’ dinner, a gathering of the past victors. The tournament is often decided on the final day around the stretch of holes known as Amen Corner, where shots can disappear quicker than the “patrons” who get a little rowdy in the austere surrounds of Augusta National. A good event to bet on as past performance around the notoriously difficult course counts for plenty. U.S. PGA Championship: Sometimes seen as the poor relation of the other three majors, but try telling that to the winners, who will forever carry the tag of major champion. This tournament was traditionally played in mid-August and was always the final major of the year, but as of 2019 it was moved forward to May to be played five weeks after the Masters and five weeks before the U.S. Open. In 2019 it will be played at Bethpage State Park’s infamous Black Course. The PGA is the only major that does not specifically invite amateur players; they can only qualify by winning one of the other majors. Twenty spots in the 156-man field, though, are reserved for U.S. club professionals. The PGA is played at a rotation of courses, including legendary venues such as Whistling Straits, Baltusrol and Valhalla Golf Club in Kentucky. U.S. Open: Now the third major of the year and is played at a rotation of courses. The tournament is scheduled to finish on the third Sunday in June, which is Father’s Day. Brutal rough and narrow fairways are hallmarks of this tournament, which means the straightest drivers are usually around at the business end. The U.S. Open was first held in 1895 and is the only major to retain the next-day 18-hole playoff format in the event of a tie at the end of 72 holes. In 2019, the U.S. Open will be played at the beautiful Pebble Beach Golf Links in California, with Brooks Koepka attempting to win the event for the third time in a row. British Open: The battle for the Claret Jug is the oldest tournament in the business and is held at a rotation of links courses around Scotland and England, though it has been held in Northern Ireland and, indeed, will be hosted again by Royal Portrush in 2019. Royal Portrush in County Antrim hosted the Open in 1951. The Open is held at the home of golf, the Old Course at St Andrew’s, every five years. It was first contested in 1860 and is usually held in mid-July, always at a links course. Italian Francesco Molinari is the defending champion. There is never any shortage of golf tournaments to watch and possibly have a real-money wager on, with the U.S. PGA Tour and European Tour running most of the year. To fill in the gaps there are events on other tours such as the Australasian PGA Tour, the Sunshine Tour (South Africa) and the Asian and Japanese tours. Then there are the U.S. LPGA Tour and European Ladies Tour, among others. But as far as other outstanding events to watch and bet on go, here are some of our favourites. Ryder Cup: The biennial contest between Europe and the U.S. has blossomed to become a must-see for the golf fanatic. There is a real feeling of animosity between the teams and the next installment will be played at Whistling Straits in Wisconsin starting in September 2020. Presidents Cup: Another biennial contest, fought out by a team from America and another representing the “rest of the world”, Europe aside. The Players Championship: A top-class event held at the Sawgrass Stadium Course, featuring the famous island-green 17th, one of the most-watched holes in golf. This is rated as the “fifth major” for good reason: it’s an outstanding event on a spectacular course. World Golf Championships – Matchplay: A great chance to see the best 64 players in the world in a different format. Throws up so many thrilling finishes and is a great betting medium. Pebble Beach Pro-Am: Where else do you get to see Carl Spackler himself in action, along with all sorts of sports and Hollywood celebrities. Tin Cup: Kevin Costner stars as a knockabout pro Roy McAvoy… who leaves it late to chase his dreams on the pro tour. Must see for the golf fan. Hmm, Roy McAvoy … Rory McIlroy. Coincidence? We’ll leave it to you. The Legend of Bagger Vance: Matt Damon, Will Smith, Charlize Theron. Directed by Robert Redford. Just a stylish, entertaining flick. Happy Gilmore: Clearly Adam Sandler’s best and funniest movie. But by anyone’s standards there are plenty of laughs to be had as a would-be ice hockey player takes to the fairways and greens. Follow The Sun: Little known and hard to find, but a wonderful portrait of the great Ben Hogan, who knew a thing or two about overcoming adversity. Starring Glenn Ford. Dead Solid Perfect: One for the aficionado but an engaging tale of the battle of a second-string pro. A Gentleman’s Game: A rambling sort of story but well worth a look. Starsky & Hutch: Not strictly a golf movie but does have one unforgettable scene where Huggy Bear (Snoop Dogg) caddies for the bad guys. His knowledge of grass comes to the fore. 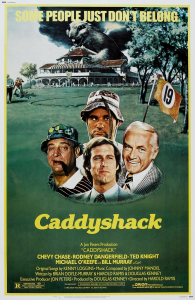 Caddyshack 2: Not a patch on the original and way too over the top but delivers a few belly laughs.